Special Collectors' Edition lovingly restored to its original stunning design - with fold-out map of Moomin Valley. In case you didn't know, the Moomins are kind, loyal and welcoming creatures with smooth round snouts, who live in a tall blue house shaped like an old stove in a valley in the forests of Finland. They love sunshine and sleep right through the winter, when the snow turns their house into a great snowball. In spring they wake up, clamber down the rope ladders hanging from their windows ready for fresh new adventures. The Finnish artist and author Tove Jansson (1914-2001) wrote and illustrated her first Moomin story, The Moomins and the Great Flood, in 1945 as a form of escape from the dark shadows of war. 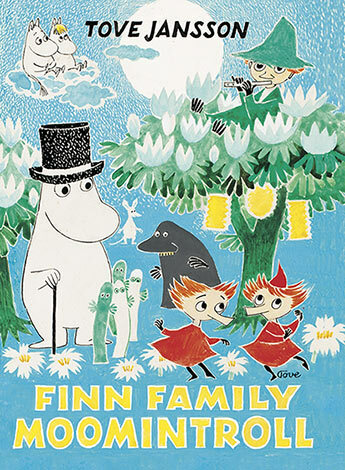 With the publication of The Finn Family Moomintroll, her third and best loved title, she became a worldwide sensation. Her eight Moomin chapter books would be translated into over 60 languages and remain in print for over six decades. Tove Jansson lived in Helsinki and a tiny island in the Gulf of Finland which she shared with her life partner, the graphic artist, Tuulikki Pietila.